Tyr certainly haven't gone for small on album number eight. Hel clocks in at 13 full-length tracks, each one a raucous celebration of Tyr's favourite things: warriors, wizards, mead and metal. As always, they expertly balance the line between power and death metal, and end up sounding like an unholy mixture of Blind Guardian and Amon Amarth. Leave it to a group from the Faroe Islands to finally perfect the Viking metal formula. 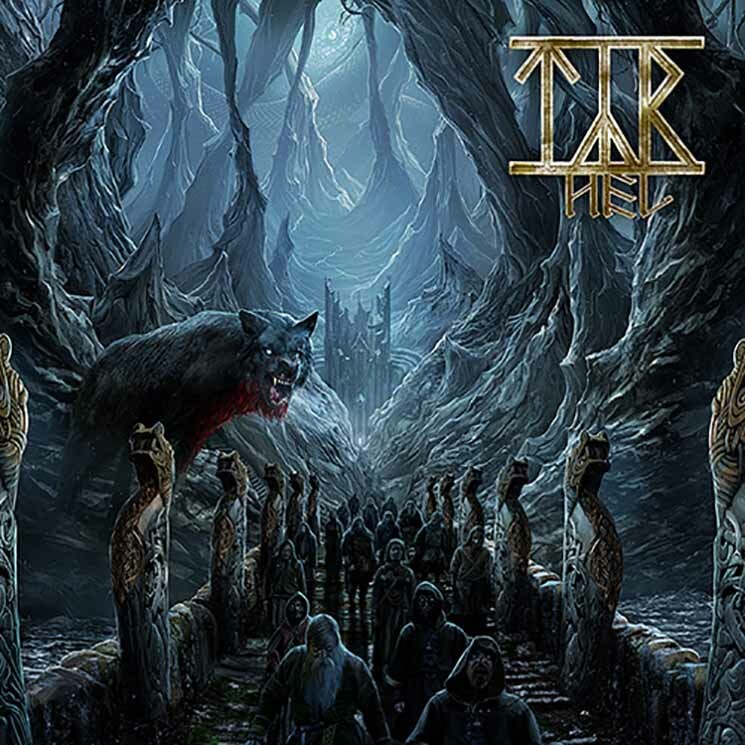 There's an edge to the voice of Heri Joensen that was missing from previous Tyr albums. It's a very welcome addition, giving him the extra bit of menace necessary to sell songs like "Garmr" and the excellent "Far From the Worries of the World." But the band remain firmly rooted in power metal territory. Great news, if you're the type of metal fan who loves speed and energy but always tunes out when they hear openly growled vocals. The quintessential moment happens right in the centre, with "Empire of the North" — here is a song worthy of the label "epic metal." Beginning with the gleefully cheesy line "By the sword of the mountain!," it delivers on everything a Tyr album promises to be. By channelling their heroes in Iron Maiden, the group manage to pen one of the best songs in their two-decade-long catalogue.